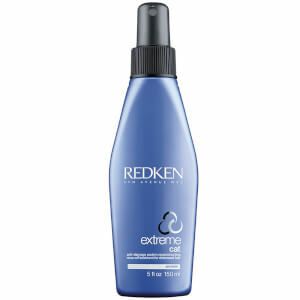 The Redken Extreme +1 Repair Pack fortifies your hair so that it is naturally healthy and shiny. Hair is more manageable and stronger to withstand environmental factors that can make it weak and dull. This rich and nourishing shampoo will cleanse and repair damaged and brittle hair, leaving it supple and ready for styling. This creamy conditioner revitalises and detangles your damaged hair by smoothing the cuticles and reducing flyaway hairs. This concentrated treatment instantly replenishes your hair to the correct moisture level with proteins and ceramide that add shine and definition. Hair is really soft, smells great and easy to brush. I recommend this set! So pleased with my Redken products. Mine and my daughters hair is so much healthier. My expectations were high for these. It felt really nice and left my hair soft and tangle free. But my ends did not feel as good as I would have hoped for. People really do comment how much better my hair is I can't believe it!! The very best product on the market since 1976! 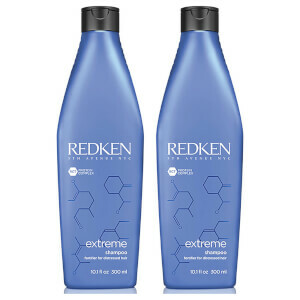 Having been a hairdresser and used Redken for 30 years this product is guaranteed to give the results you always wanted, and make you glad of the very small investment. It really does what it says on the tin! Fantastic!!! 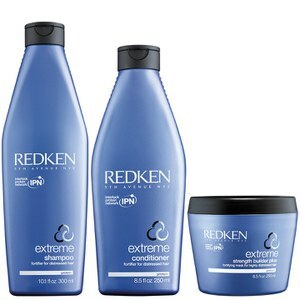 I love Redken's Extreme Conditioner, but the shampoo is definetely not worth buying. I recommend buying Redken's Clear Moisture Shampoo instead. That's just perfect and combines very well with the Extreme Conditioner. These products makes my hair look fantastic! As a hairdresser i would like to tell you all about thees amazing products. 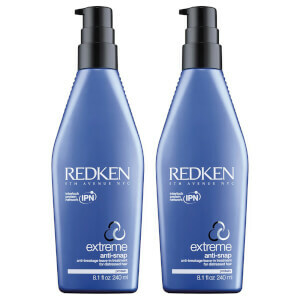 Maby you dont feel the soften and shine as you do with other shampoo or conditioner, but thats why this Redken Extreme products really does some GOOD for your hair on the INSIDE, not just putting some silicon structure on the top of it!! Trust me, use it for some weeks and you will se results. The CAT is a miracle for every one that has damaged hair..